These come from leanonlife website, and are tasty and gooey as brownies should be. You can hide nutrients from the kids, and enjoy a sweet snack! Preheat oven to 350 degrees, and oil a 9×9 baking pan. Throw all of the ingredients into a powerful food processor or blender. Blend until it makes a smooth, thick batter. Spoon the batter evenly into the pan. Bake for 25 minutes, and then let it cool completely before you add the frosting. In a food processor or blender, blend milk, dates, almond butter and vanilla extract, until smooth. Add sweet potato and cocoa powder; blend until smooth and fluffy. 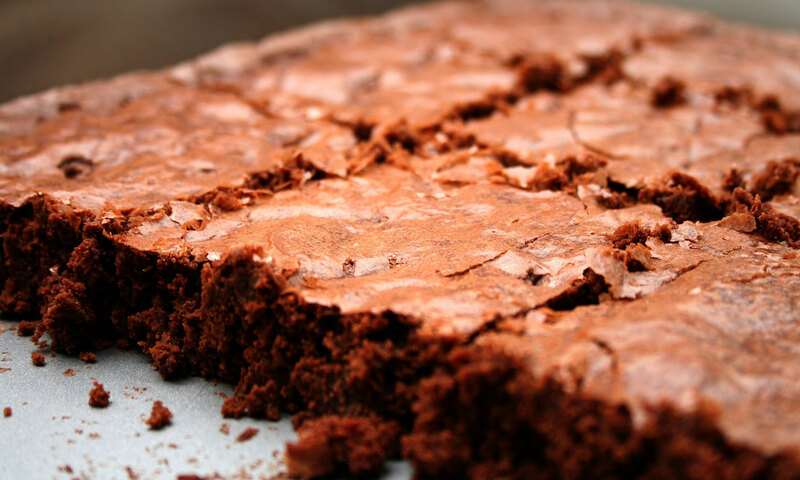 Use a spatula to spread the chocolate frosting on to the cooled brownies. Ensure no one is looking, and proceed to lick the remainder of the frosting off of the spatula. Sprinkle the frosted brownies with chopped nuts (optional).